You never get a second chance to make a good first impression. This statement holds especially true when it comes to interviewing. Join us in learning how to make the best first impression. 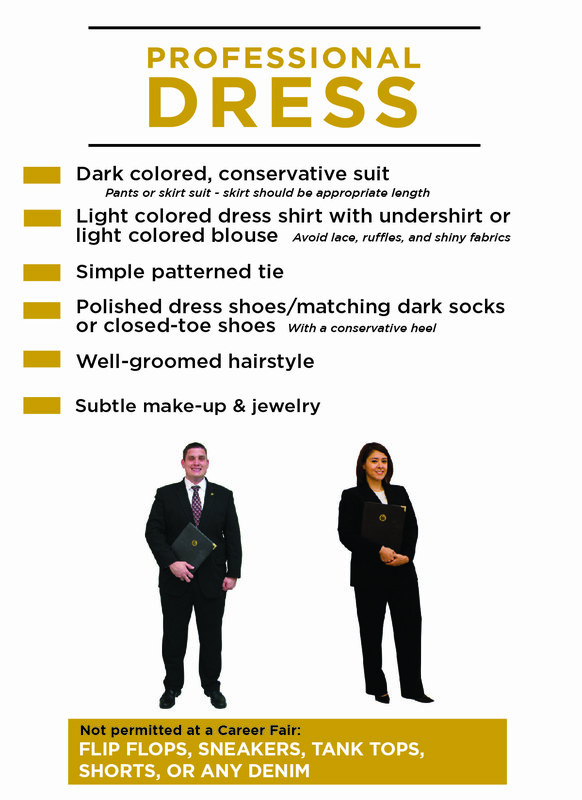 Attend our workshop or read our site to learn how to dress appropriately and what questions to expect at an interview. Prepare for your important interview by participating in a practice interview with employers or the Career Services staff! Employer practice interview appointments can be scheduled through Handshake. UCF offers several options for those wanting to practice and perfect their interviewing skills. To increase your chances for a successful interview: practice, practice, practice! We offer coordinated practice interviews that include advice on pre-interview preparation, suitable attire, appropriate interview materials, communicating skills, the question-and-answer process, and interview follow-ups. Students can sign up for a practice interview with a member of our staff. Practice interviews are generally 60 minutes in length, including 10-15 minutes of feedback. To sign up for a practice interview, contact us and request an appointment. The Employer Practice Interview Program runs during Career Readiness Week in the fall and spring. To sign up for an interview during that week, register through Handshake. Interview time slots will be granted on a space available basis. If you need to change or cancel an interview appointment, you must contact us no later than 48 hours (2 working days) prior to the date of the interview. Interviewing is a privilege; failure to appear for interviews reflects poorly on you and the university. If you are a “No-Show” for an interview and want to keep your Handshake privileges, you will need to write a letter of apology to the employer. You must send this letter to csrecruit@ucf.edu for review. A Sample Apology Letter is available for you to review. Making a positive first impression is essential in a job interview. An employer’s opinion of you is not only based on your skills, but also on how you present yourself. By dressing professionally you can show employers that you mean business.